Uses original secure mounting points. 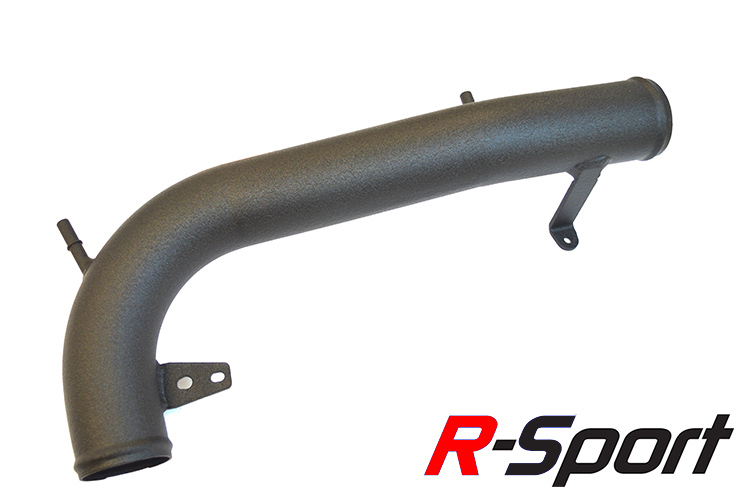 All new R-Sport Cross Over Pipe replaces the standard plastic pipework with higher flow aluminium pipework. Improving air flow and the aesthetic appearance of the engine bay. Part of the ultimate induction kit, this pipe is available in a range of colours to suit your colour scheme. Please note for some colour options there can be an extended lead time. Please call to confirm. The Pumaspeed Workshop team are ready to fit the R-Sport Fiesta 1.0 Ecoboost Large Bore Crossover Pipe in our Head Office located here. Therefore making parts and labour a total cost £128.40 (inc. VAT). Pumaspeed have a specialist distribution team that can dispatch the R-Sport Fiesta 1.0 Ecoboost Large Bore Crossover Pipe to any destination worldwide.